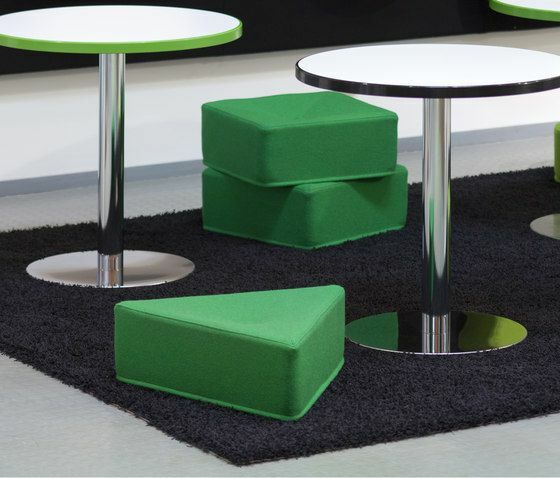 The Mukula seat wall was created in the spring of 2011 in a joint project involving Isku and students of the Aalto University to seek new ideas for learning environments of the future. Mukula includes cushion seats for sitting on the floor that can be hung on the wall after use. The seats are attached with magnets to metal sheeting, whiteboard or even installation channels for electrical wiring on the wall. Mukula is a new and fresh alternative for study situations. The seat also dampen sounds and introduce colour and variation into the interior. Mukula received an Honorary Mention in international Fennia Prize design competition. The individual Fennia Prizes are awarded to companies in recognition of the comprehensive and innovative use of design. The Fennia Prize jury represents the design, business and media communities. The entries are evaluated on the basis of usability, responsibility and business aspects, as well as aesthetic properties, suitability to the visual environment and the communication of desired values. The cushions are available in circles, ovals, squares, triangles and in several colours. They can be used in teaching: children learn the perception and composition of shapes and colours with the help of Mukula.